Friends, Irwyn and Rosemary, were on their way back to Mudgee after a bird-watching / kayaking trip to south-western NSW and northern Victoria and I suggested we could meet at Warren and do a little more birding back to Mudgee. We met late Thursday afternoon at the Macquarie Caravan Park Warren, where, once again I spent the night in the back of the Forester. The next morning, after birding the wetlands, we drove to Willie Retreat, a sheep property that backs onto the Macquarie Marshes, stopping a few time to add to the bird-list. The afternoon walk at Willie Camp gave us 27 species, see list . After breakfast we head off to, check out firstly the marshes, then the drive back to Mudgee via Quambone and Gulargambone. 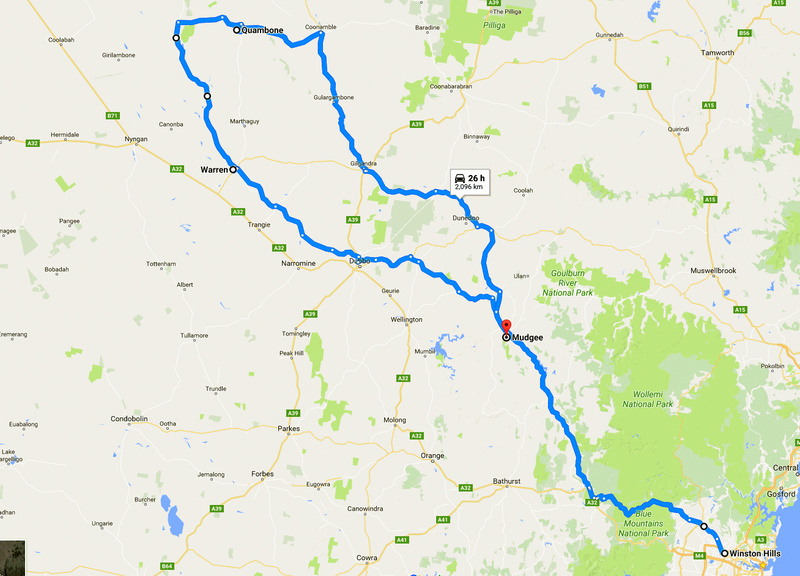 We arrive in Mudgee after dark at Irwyn and Rosemary's place, where I get to sleep on a bed. 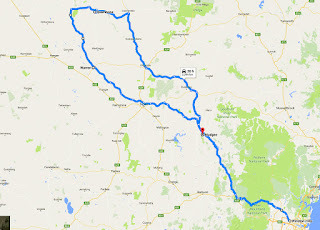 The next morning, Sunday, I leave for home..........a nice few days in the Central West of NSW. Welcome to the field. I came in on the backroad. Sunset at Macquarie Caravan Park, Warren. Sunrise at Macquarie Caravan Park, Warren. Up with the birds (Galahs). Cotton growing on the way to Macquarie Marshes. One of my favourite trees, Leopardwood. Welcome to Willie Retreat, Macquarie Marshes. The community / group's facilities. It's hard to keep a garden going out here. (where I live close to Sydney) Bird Life poster up on the wall. Most of the birds were found here near water (out of sight). Over there, near the fence post. Off to find some more water. Long shadow in the afternoon sun. A nice time of day. Doing it the easy way. .........so does this escorting Emu. A spot to watch the sun come up. Our accommodation, Irwyn and Rosemary on the left, my executive room on the right. Leaving for the marshes and Mudgee. We didn't see the goat. Female Red Kangaroos and young. Checking out the Macquarie River. Rosemary goes in to check the water depth. This could have been a Broad-shelled Turtle. Macquarie Marshes Observation Platform. There wasn't much here. A nice way to travel....the van is ok as well. Two eight two eight, Gulargambone, a good spot for a coffee. 'Gulargambone, Flying Ahead' It may have been once. Like many of the disappearing country towns in NSW. Rail crossing on the road home. We even passed Neptune on the way. It's hard to get a sunset shot and drive at the same time. Galah at Gulargambone, the brown thing at Dunedoo and the others tell their own story. Green and gold, between Mudgee and Lithgow.